Back by popular demand, the third chocolate roundup is here! And today on December 1st, what I consider the official start of the holiday season. We even had our first snowfall here in Zürich yesterday. Christmas trees and mistletoe are on people’s minds, roasted chestnuts and marzipan, panettone… and chocolate of course! 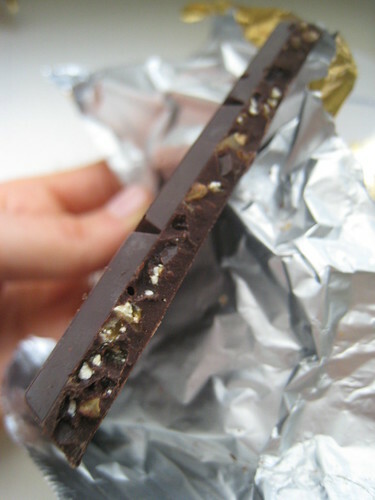 Perhaps the majority of that chocolate will be shaped like Santa Claus, but for me… it’s all about bars. So here’s what I have been tasting lately. Let me know what you think of these bars if you are already familiar. And if not, be sure to let me know what’s in your chocolate drawer! There is no other place to begin than with a bar near and dear to my heart. A bar that is both an old and a new favorite. 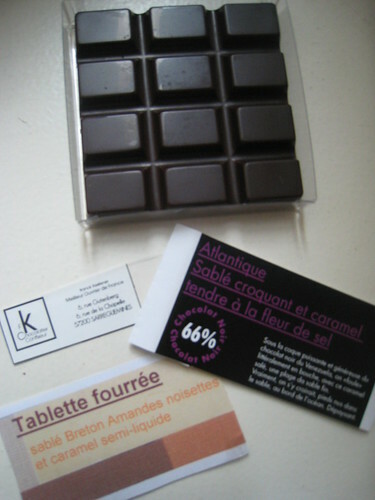 It was at this year’s Salon du Chocolat in Paris where I was chatting with Franck Kestener and tasting his products. He gave me a square of a bar that almost had me fall on my knees, it was so divine. My immediate reaction was – wait, I know that bar, I have had it before (because I probably had the same reaction!) 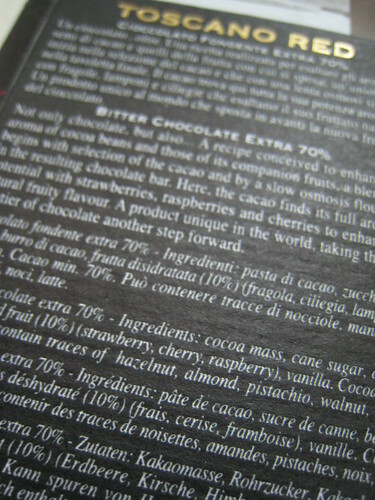 Fast forward to me rifling through my collection of chocolate bar labels back at home – and voilà, there it was, the original packaging I had saved years back (which has since changed, hence my not recognizing it at first). Why did I save it? So I wouldn’t forget what it was, and be able to buy it again. That was how my collection began after all. Now… back to that bar. 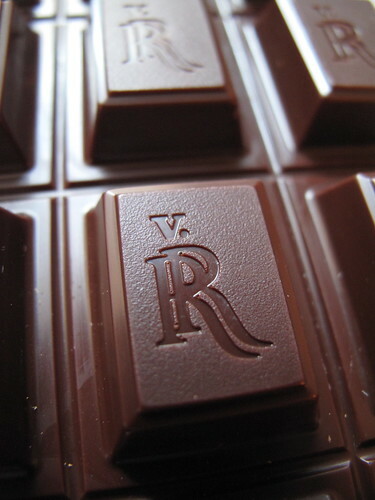 Supreme quality dark chocolate, thick and solid. A layer of crispy and delicate sablé (buttery shortbread). Each square just ready to burst with salted caramel, a perfect compromise between liquid and soft. It can be difficult to cleanly cut individual squares, so I recommend simply taking a row and enjoy biting off one by one. 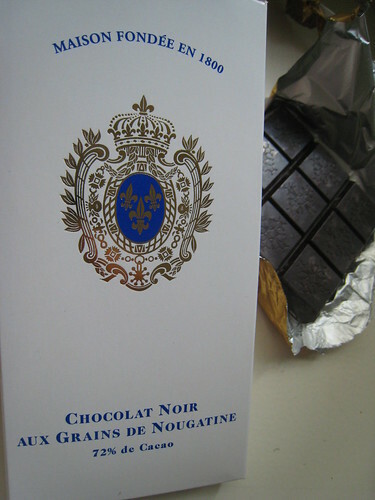 Another chocolate that did not stick around very long was Debauve & Gallais’ dark chocolate with pieces of nougatine. 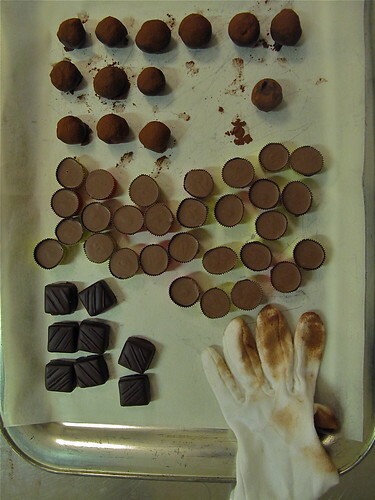 I first discovered this prestigious chocolatier (Paris’ oldest, since 1800) back in 1999 when living in Paris and rediscovered it in 2002 when doing research for Mort Rosenblum on his book, Chocolate. I have remained a fan of the beautiful and refined individual pralines, but had never tasted their bars. It was time. 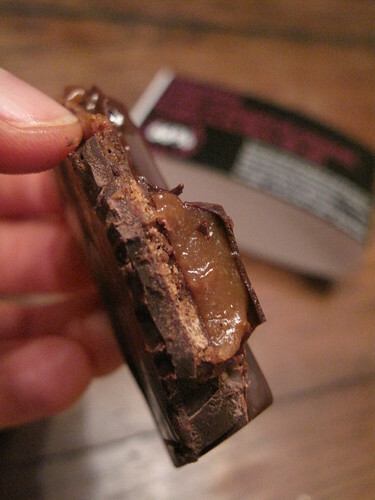 Think crunchy bits of hardened caramel in a sweet dark chocolate (72%). I am often disappointed when chocolate bars that are made with berries or bits of toffee have just so few of that ingredient. 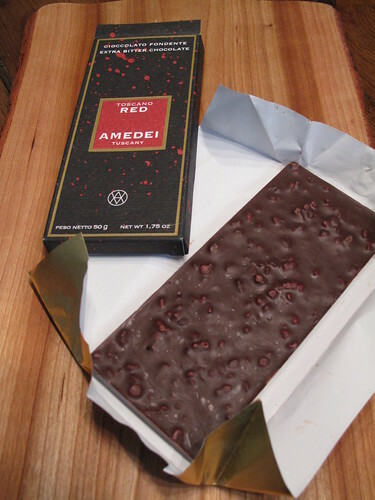 You can see above that Amedei’s bar was not one of them, and nor was this one below. However, I was very surprised that with such a high quality chocolate maker, the bar bloomed (discoloration) after just a few days, hence no glamourous close-ups below. 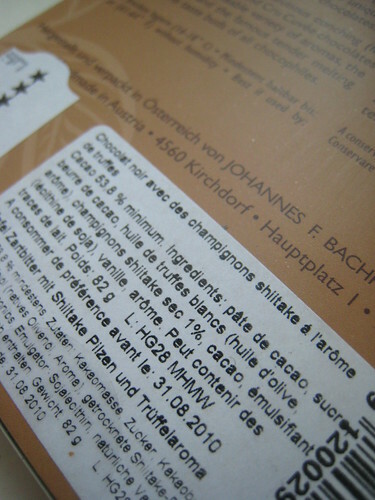 And last but not least, two more bars from Austria and Switzerland… that I haven’t actually tasted yet. You first! I smelled them, that’s for sure. You open these wrappers and there is no doubt about what flavors you have in your hands. So how do you all feel about savory ingredients in your chocolate? I think I bought both of those bars out of pure incredulity! And perhaps to take out at a dinner party, see the reactions of guests! Would you taste them? Or have you already?? What else have you tasted? Let us know! Once I saw Fleur de Sel…I stopped reading, sated by the mere thought of it! I don’t know how you stay so slender. These are making my mouth water! I haven’t tried any of these yet, but my favorite right now is by Lindt which is a dark chocolate with Sea Salt. Yummy! 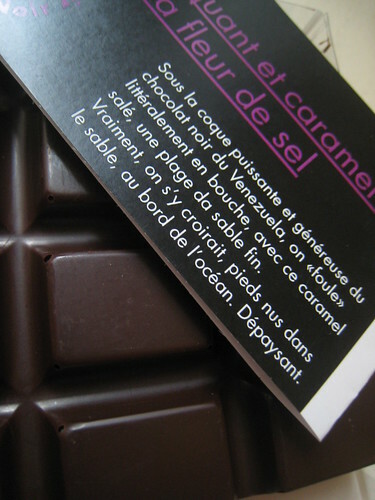 Once again, fleur de sel is a big hit – and it’s one of my personal go to choices for chocolate. Dark chocolate with salt, you’ve got my attention. Oh I’ve got my eye on the chocolate with the caramel in it, looks fabulous! Lovely blog you have here, Kerrin, so many fabulous recipes. Chocolate and mushrooms, now that would be a challenge! I think I’d be up for trying it… at least once anyway 🙂 As for my own chocolate drawer, it is sadly empty – I just finished the last of my supplies from the chocolate festival that we had in Dublin about a month ago – it’s time to stock up again! I’ve died and gone to heaven – You tease! 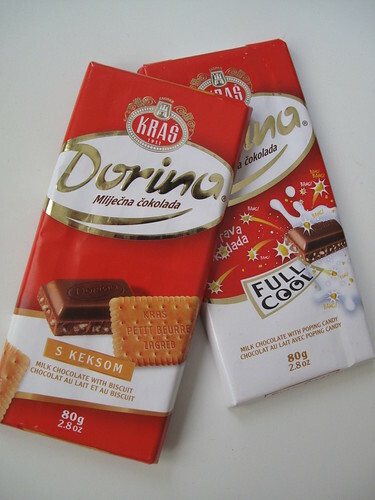 Kerrin, yet another fantastic wrap up of the range of exquitie chocolate available from around Europe. I just shook my head at some of the flavours. Particulalry mushroom. Seriously? The photograph of the chocolate/shortbread/caramel combination had me wishing I was there with you = helping you iwth the ephotograph, so I could gobble up the subject matter once done, of course! Nic, thanks so much for checking out the blog. And yes that chocolate with the caramel – simply divine ! Daily Spud, I know – mushrooms and chocolate. There’s a reason I still haven’t tried it ! But it’s all about the experience, right ?! I will… eventually ! Before it smells up the rest of my chocolate bars that is. So what was in your drawer before you emptied it out ? And a chocolate festival in Dublin ? Do tell us more, please !! 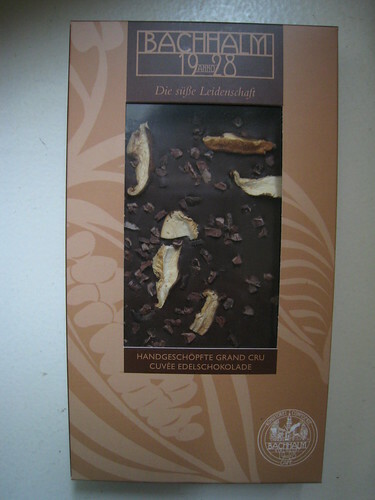 Being Viennese, I know the Bachhalm chocolates, they are one of my favorites and I really like the Shiitake one. 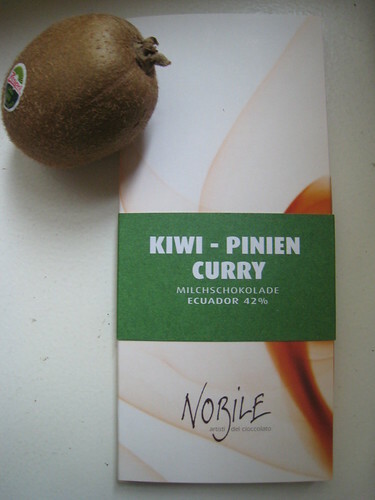 Also very good is the one with dried fruits and nuts and the one with cane sugar and rum. 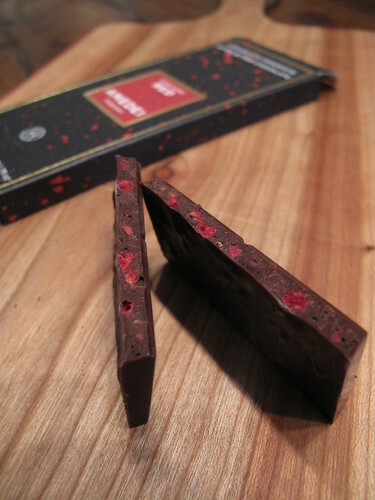 You should also try the Zotter chocolates, they are so divine! Wow.. thanks for this 🙂 It’s added to the list of things to do the next time I’m in Paris. BTW – did you find any of these in Zurich? 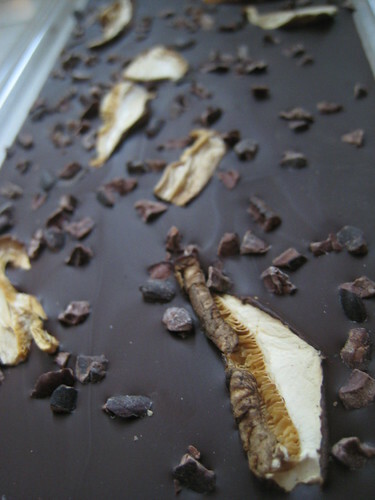 Jen, thanks so much for the comment and letting us all know about the shiitake bar ! Ok, now I will absolutely try it ! 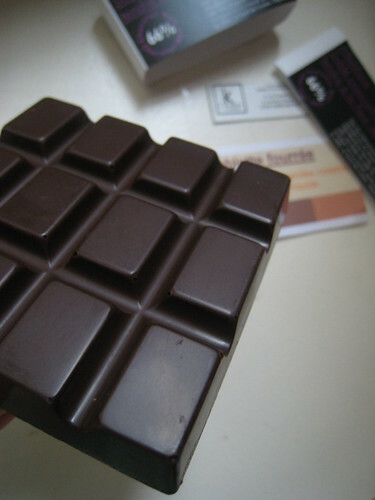 I had included Bachhalm’s hot pink blackberry bar in the first roundup (//mykugelhopf.ch/2009/06/kras-chocolate/) and loved it. Definitely good quality chocolate. I’ll have to try some other bars of theirs. And Zotter I have never tasted, but I think I saw it around town here. Divine you say? That I have to taste ! 🙂 Danke! Nanda, except for the bars from Franck Kestener and Debauve & Gallais which I did get in Paris, the rest I got here in Zurich. 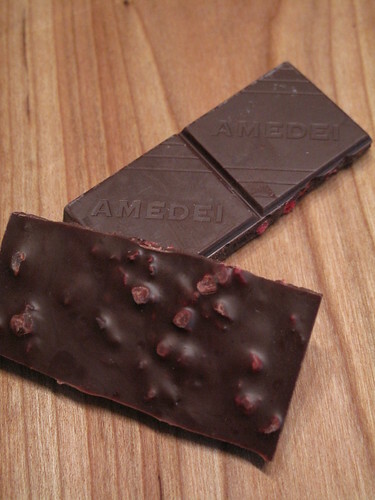 You can find many of Bachhalm’s bars at Globus and the Amedei and Nobile chocolates at a small shop in the old town, called Truffe. Let Elisabetta (at Truffe) know I sent you! 🙂 Hope you enjoy ! I know why this is called a ?roundup.? I read it and gained 5 pounds. Really funky sounding chocolates, but i?m not too sure about the shitake. However, chocolate with salty caramel ? now you?re talkin?. 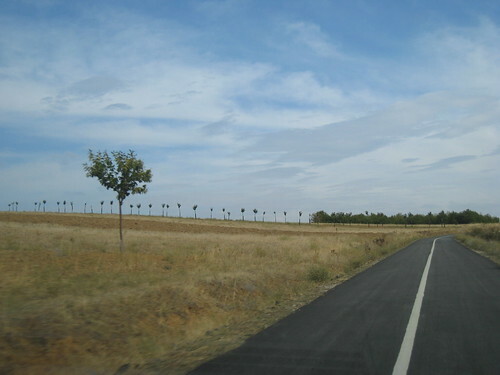 And as usual, fabulous photography. Those shot look live, and delicious. One more thing ? not only am i impressed that you saved a chocolate label that long, but you were actually able to find it. Bravo! Can you e-mail me a few samples? All those chocolate wrappers!!! I am so impressed by your taste buds. I do love the dark chocolate with sea salt. I am loving the nougatine! Anything crunching is number one on my list. How about a KitKat bar? The photography is so perfect that it looks absolutely touchable! And how do you stay so thin? Steve, very cute about the “roundup” ! I never thought of it that way, haha! MarcusAdkins, email you a few samples, now that would be pretty neat ! Daily Spud, thanks for checking back and sharing the link. Oooh, looks like a fun and delicious festival. And a recipe for Turkish Delight truffles too, mmm ! You’ve taken my breath away! I was lucky enough to attend Le Salon du Chocolat once and it was amazing! 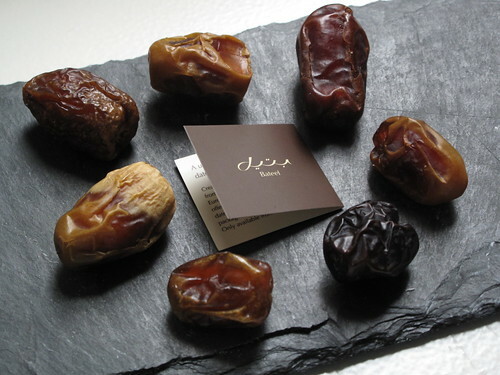 How I would love to go on a chocolate tasting jaunt with you! 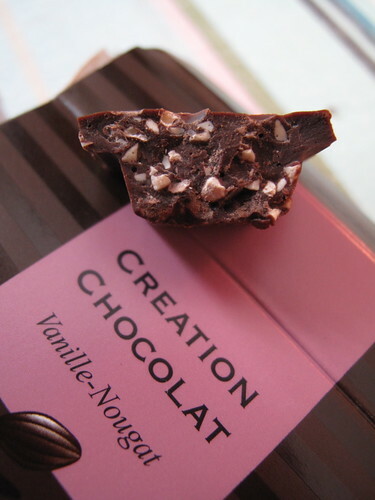 Right now I am into the marvelous chocolates of the chocolatier Nantais Debotté which are sublime. But that chocolate bar with a layer of soft salted caramel has got to be it for me! 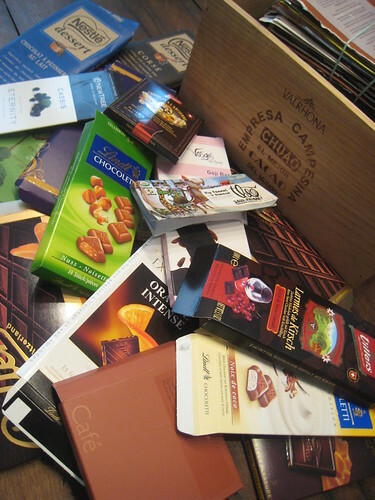 BTW, how do you manage to sleep at night if you’re eating so much chocolate? 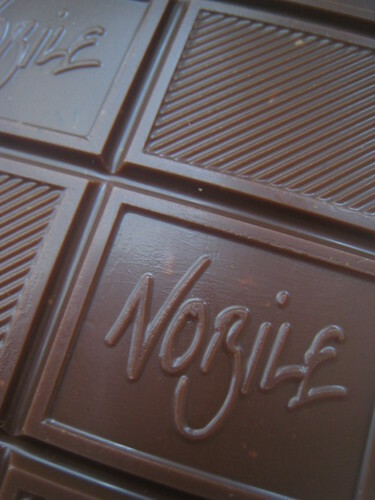 Shella, oh yes, the array of chocolate in Europe is quite extraordinary! 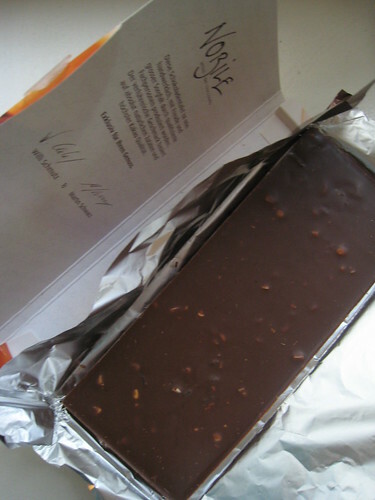 Jamie, the Salon du Chocolat 2010, we are so there ! 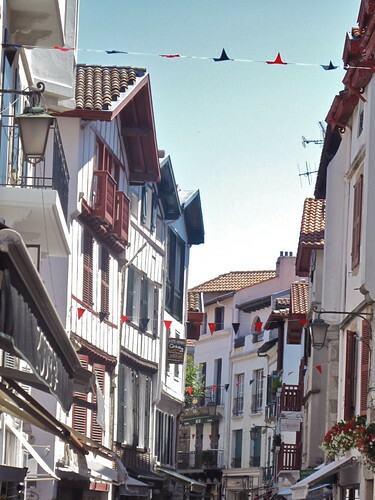 Thanks for sharing about Debotté, checked out the site and looks real good to me. 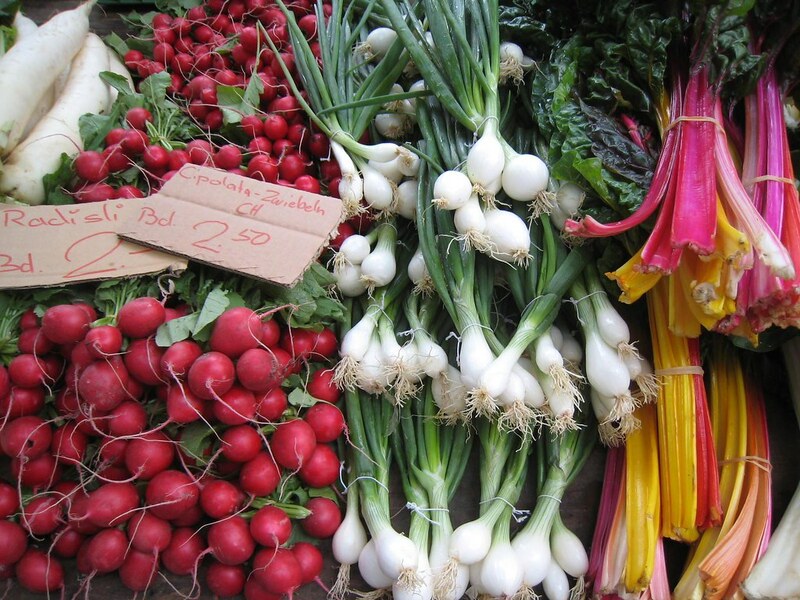 Nantes is a fabulously gastronomic city, would love to visit one day. And yes, the chocolate with the soft salted caramel above – my #1 too ! They all look yummy to me!!! Yes, Kerrin Fleur de Sel is the very on I am talking about. I can’t seem to get enough of it. I hide it in my purse and take it to the movies with me and I eat the whole thing, and I don’t fell on ounce guilty about it. 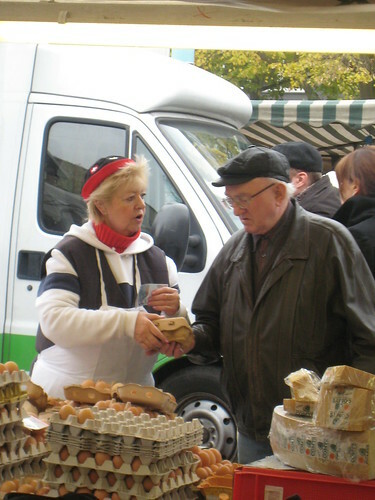 I don’t think I would want to try chocolate and mushrooms, but I have once heard of a chocolate and carmalized onion chocolate made in the south of France. I think I might give that one a go given the chance. Sorry for all the spelling mistakes. 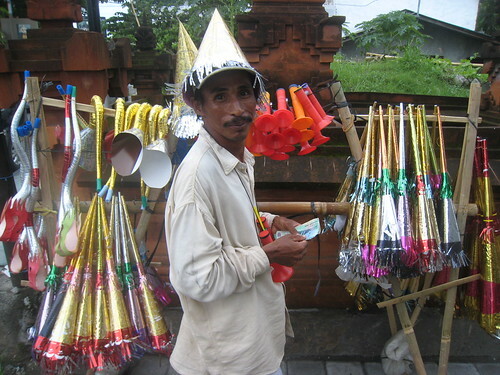 It is almost one in the morning hear. Can’t sleep! kelleynr, thought so about the Lindt bar ! I can’t get enough of it either, and I do have it quite often. (No reason for guilt, good.) And good idea to bring it to the movies with you – sure beats greasy, buttery popcorn and soda, right ? Tell me more about this chocolate with caramelized onions, I’m intrigued… do you know the name of the chocolate maker or brand, or even town it’s made in ? Thanks ! 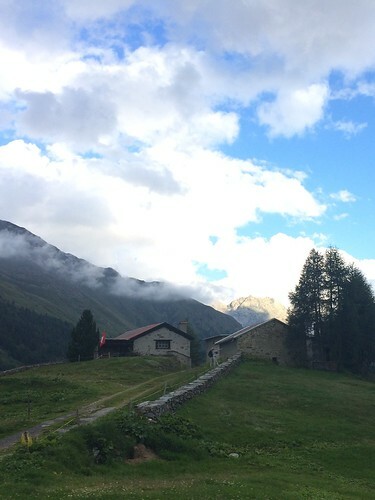 Ma participation pour le “round up number 4” va trouver le chemin de la Suisse prochainement! On another note, I didn’t know you’d worked with Mort Rosenblum on his book – wow! Really enjoyed reading it, along with the more historical “The True History of Chocolate’ by Sophie D. Coe. Wish you could come to Sydney one day so I could share my local ‘finds’ with you!